・NEW! Evolve website with interactive modules and videos showing clinical techniques lets you access the modules and videos anywhere, anytime. ・NEW! More procedural videos showing visual-dependent techniques, such as a neurologic exam, help illustrate the complexities of procedures that are all about movement. ・UPDATED! New images to accompany updated and added procedures, including more high quality photos with line drawing overlays, keep procedures relevant and modern. 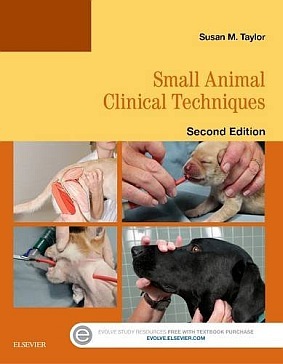 ・More than 60 of the most common procedures performed by vet techs and assistants are covered in a clear, concise, and engaging way to help improve your understanding. ・A consistent approach to all procedures with step-by-step instructions, principles, and photographs allows you to think logically and perform the skills well. ・Over 800 full-color drawings and photographs, overlaid with line drawings to further clarify the musculature and circulatory systems beneath the skin of the patient, reinforce visual understanding of key concepts.